Gamma E Tocopherol with Sesame Lignans by Life Extension supports healthy skin and hydrating from good sauce and great brand. 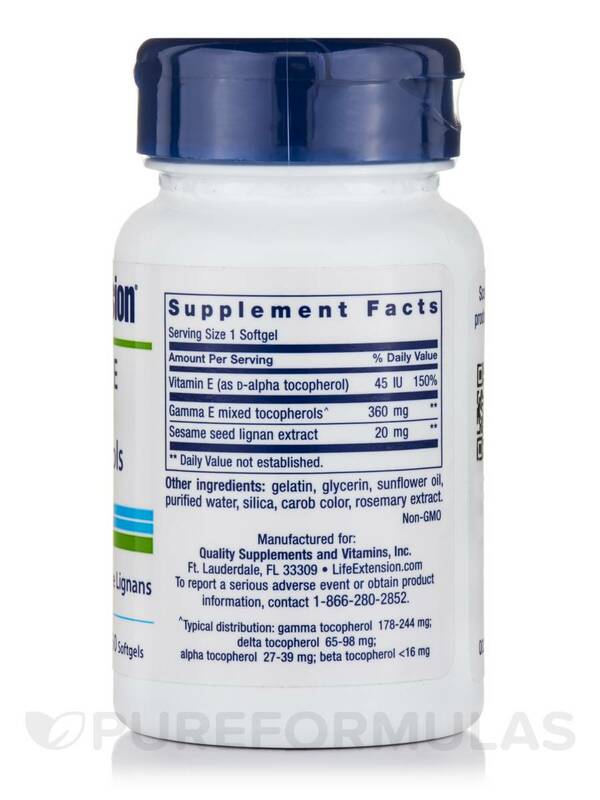 Gamma E Tochopherol with Sesame Lignans – 60 Softgels from Life Extension® is a supplement that enhances your intake of the nutritious vitamin E compounds that improves antioxidant properties. In addition‚ it combines the strength of sesame lignans also known to stimulate antioxidant activity. 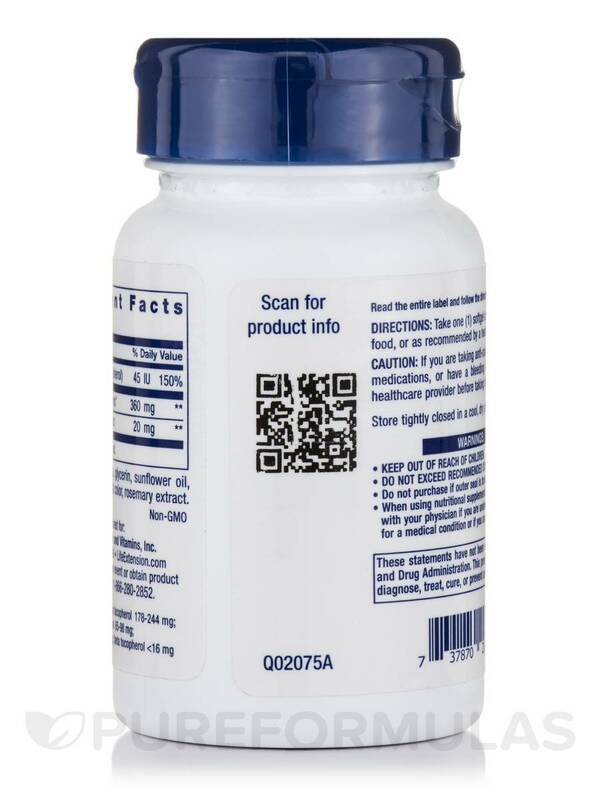 Vitamin E present in this formula from Life Extension® is in the form of tocopherols and tocotrienols that occur in four major forms‚ alpha‚ beta‚ gamma and delta. They are lipid soluble and present in many plants. Studies reveal that alpha tocopherol may have the ability to decrease the production of free radicals‚ but also reduce the activity of gamma tocopherol‚ needed for scavenging free radicals. Gamma tocopherol might inhibit cyclooxygenase activity‚ thereby reducing inflammation. It could support a healthy heart and prostate in men and slow down the aging process. Sesame lignans are rich in phytoestrogens that may have antioxidant properties. They could increase the levels of vitamin C and E that appear to have antioxidant abilities. 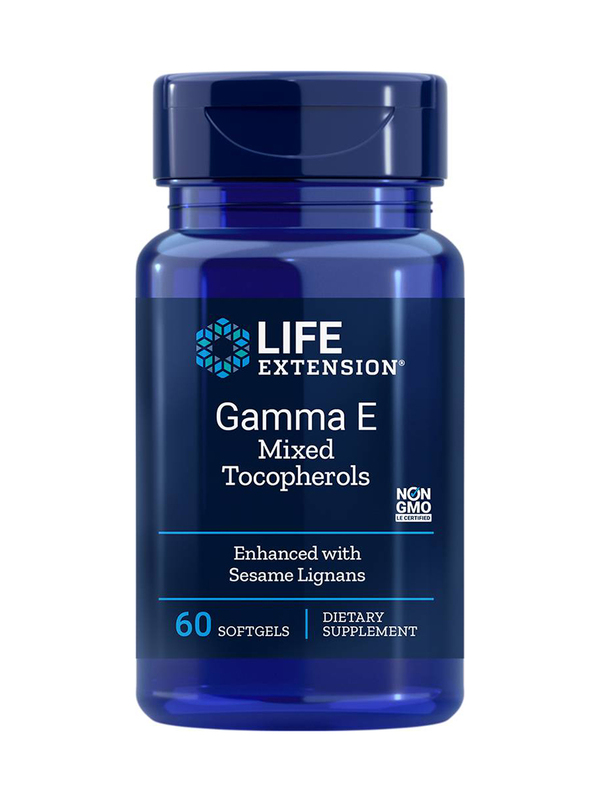 Get Gamma E Tochopherol with Sesame Lignans – 60 Softgels from Life Extension® that may enhance the supply of vitamin E in your body. Other Ingredients: Gelatin‚ glycerin‚ sunflower oil‚ purified water‚ silica‚ carob color‚ rosemary extract. 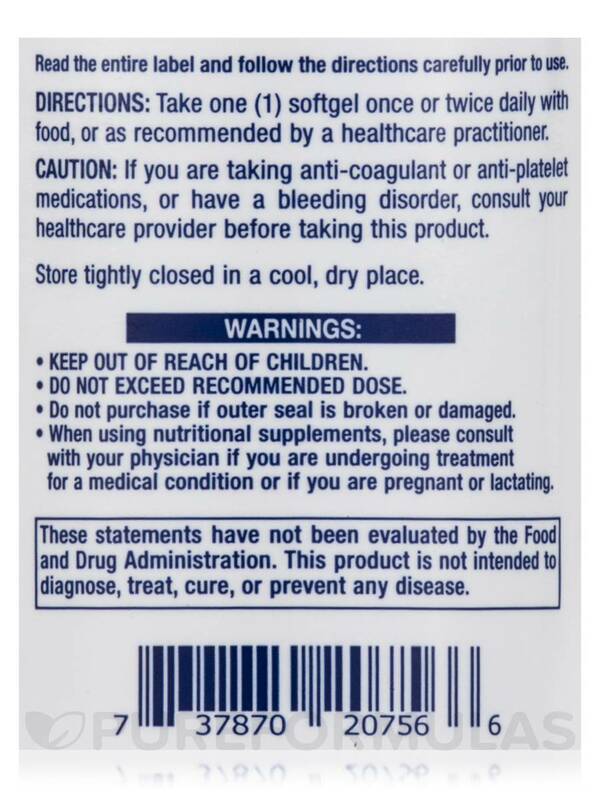 Take one (1) softgel once or twice daily with food‚ or as recommended by a healthcare practitioner. 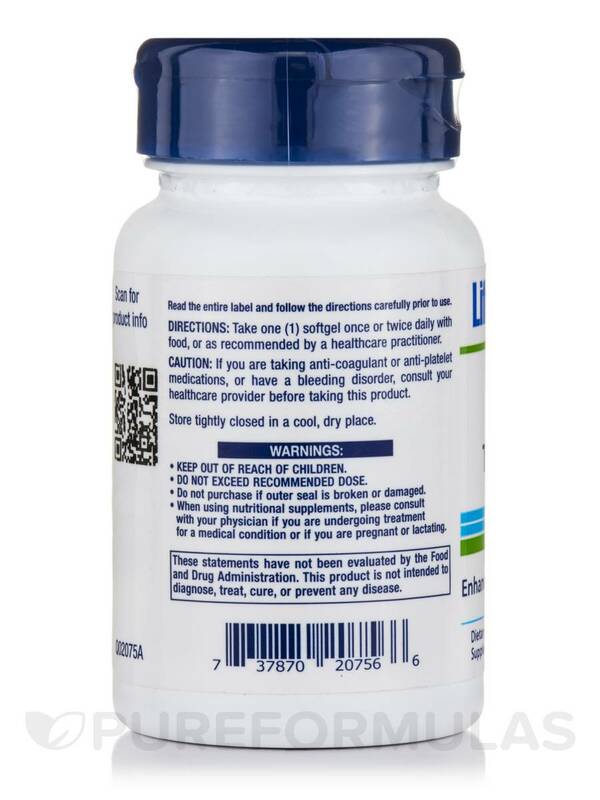 If you are taking anticoagulant or anti-platelet medications‚ or have a bleeding disorder‚ consult your healthcare provider before taking this product. 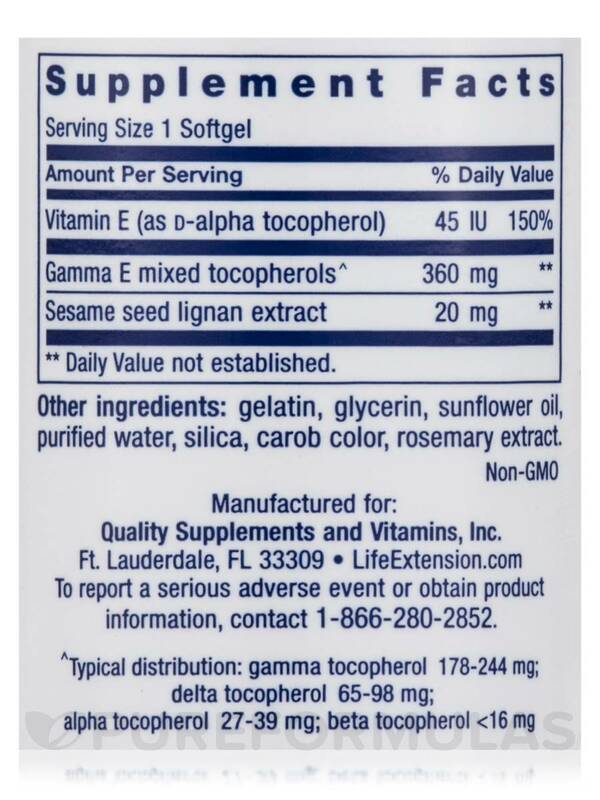 Gamma E Tocopherol with Sesame Lignans by Life Extension is good for the brain and the pocketbook! Will definitely order again. Great pricing and easy to order.